SmartyAds DSP is an award-winning programmatic media-buying technology designed for global advertisers, brands, and agencies. Our omnichannel DSP allows marketers to manage digital ad campaigns from a single platform across desktop, mobile, display, video, native and connected TV advertising inventory with privileged access to our global ecosystem of premium supply. SmartyAds DSP combines direct media-buying and programmatic approaches that features seamless workflow automation, cross-channel ad delivery, and secure advertising ecosystem. On our self-serve SmartyAds, DSP advertisers can run multiple ad campaigns at the same time, managing, and optimizing them in real-time across the screens, devices, and platforms. 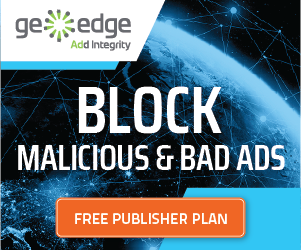 Intelligent smart bidding algorithm and proprietary optimization tools multiply advertiser’s yield by filtering out publishers that don’t match with campaign’s eCPM and by selecting those who maintain best fill rates and viewability. SmartyAds DSP opens access to word best SSPs like Smaato, PubMatic, PubNative, MobFox, Applift, InMobi, and other premium supply sources. Our platform features clean, easy-to-use UI which gives a full overview of available online markets and bidding agents suitable for the advertiser. Likewise, it lets you easily set up a precise audience targeting based on geo, platform, IP, OS, browser, and other variables. Create your free account and start growing your business today. Invite Media is a high impact demand-side platform that enables advertisers, agencies, and agency trading desks to use real-time bidding to buy and optimize online media. 247RTB is one of the best technologies combining automatic purchasing stage and real control. Being a leading ad arrangement specialist organization, they help their clients in getting the most astounding quality for their advanced media resources. With its help, highly efficient and perfectly personalized advertising can be delivered to an assortment of screens and gadgets. Being a technical organization they meet the needs and necessities of their clients and their group is constantly striving for perfection, brilliance, and enhancements. It is the prosperity of our clients that drives our business. The platform can be well utilized by the startups also as the minimum deposit is just $20 and provides 100% transparent traffic. In 2007, MediaMath introduced the first demand-side platform (DSP), changing the way digital media is purchased, and creating a new, more efficient way for advertisers to reach consumers, individually, at scale. Today, MediaMath is the global technology company that is empowering modern marketers to reimagine the way their marketing performs by transforming the technology that powers it. Our TerminalOne Marketing Operating System™ allows marketers to activate data, automate execution, and optimize consumer interactions across multiple channels. In a world where reach and efficiency are typically at war, you need technology and math to manage your marketing presence. Turn was founded to bring the efficiencies of search to online display. They empower the world’s best advertising agencies and marketers to create intimacy between premium brands and their targeted audiences by delivering the most effective data-driven digital advertising. Turn’s real-time end-to-end media management platform delivers custom audiences at scale with unmatched performance and actionable insights. The company is based in Silicon Valley with locations in New York City, Chicago, San Francisco, Los Angeles, and Charlotte. [x+1] Origin Platform is a programmatic marketing hub that empowers the world’s best brands to hold progressively relevant conversations across a full spectrum of paid and owned media. [x+1] Origin Data Management Platform, powered by the Predictive Optimization Engine (POE™) and a wholly-integrated DSP, blends first and third-party data with predictive decision to engage audiences across online display, mobile web, apps, email, site, and other digital channels. The company is headquartered in New York City with offices in Connecticut, Illinois, and Michigan. DataXu was founded by MIT aeronautics and astronautics scientists who wrote the combinatorial language that guided NASA’s Mars mission plans. These scientists – joined by co-founders with extensive digital media and consumer electronics expertise – examined potential commercial applications that would benefit from a system that could make real-time decisions. They provide the leading real-time media management platform for digital advertising campaigns across online, mobile and video channels. With a transformative approach to digital advertising – combining automated media buying, optimization, and analytics – DataXu helps brands and their agencies use dynamic ad decisioning intelligence for the highest media effectiveness, better operational efficiencies and unique consumer insights. DataXu is headquartered in Boston, Massachusetts, and is backed by Atlas Venture, Flybridge Capital Partners, and Menlo Ventures. AppNexus offers the industry’s leading technology system for managing both supply and demand partners. All major ad exchanges, ad networks, DSPs, SSPs, publishers, and advertisers are plugged into the AppNexus platform. On a single platform, you can manage targeting, frequency capping, and data collection across both managed and real-time inventory. Our inventory transparency assures high-quality and measurable results across guaranteed and real-time buy. Get immediate, direct access to large pools of quality inventory from premium sellers and benefit from instant access to hundreds of demand partners, such as Infectious Media. SiteScout DSP is a real-time advertising platform for marketers who need tools that are easy enough to use, but powerful enough to produce real-world results. It is the world’s leading self-serve platform for buying banner ads on the web and on mobile devices using real-time bidding (RTB) technology. Triggit enables advertisers and agencies to build, run, measure and optimize retargeting-driven display campaigns from a single platform. Triggit was founded in 2005 to address a simple question: “Why is the process of buying online display advertising so inefficient?” Over the past six years, Triggit’s innovative demand-side platform has consistently pushed the industry forward. Triggit was one of the first companies to leverage real-time bidding exchanges when they appeared in the fall of 2008, and one of the first bidders integrated into the Google AdX Exchange in the summer of 2009. Videology was founded in 2007 by Scott Ferber—also the co-founder of advertising.com. It is one of the world’s largest video advertising platforms. By simplifying big data, we empower marketers and media companies to make smarter advertising decisions to fully harness the value of their audience across screens. Our math and science-based technology enable our customers to manage measure and optimize digital video and TV advertising to achieve the best results in the converging media landscape. Videology is headquartered in New York, with key offices in Baltimore, Austin, Toronto, London, Paris, Madrid, Singapore, Sydney and sales teams across North America. Brandscreen’s Media Trading Desk Platform is a “clean, fast and effective” DSP, say power-users, delivering total control over campaigns, a world-class infrastructure, and sophisticated algorithms that provide unmatched optimization and intelligence. It is a real-time media trading tech startup with offices in Sydney (where all our R&amp;D magic happens), Singapore (our head office) and has a partner office in Shanghai, China. Founded in 2006, they’ve already established themselves as a global leader in the real-time media trading industry and are passionate about changing the way online ad space is bought and sold. We’re equally as passionate about finding great people to work with. E pom Market DSP was named as one of the best DSPs of 2018. Epom Market DSP is a self-serve programmatic platform for buying highly-targeted traffic in real time. Through the Epom Market DSP, media buyers can set up, manage and optimize their desktop, mobile, video and native ad campaigns. The platform offers automated optimization with the so-called Bidding Autopilot feature. That means that the platform will keep your eCPM under control by excluding publishers that don’t reach your ad goals. The DSP is connected to well-known SSPs like Fyber, Mobfox, InMobi, AerServ, Appodeal, hundreds of websites and mobile apps. By signing up to Epom Market DSP you will access all that traffic sources through your personal account. Epom Market DSP is free to use. You receive full access to the platform functionality with only $ 100 start budget. Platform161 is the world’s only truly customizable digital marketing platform. We believe that one size does not fit all-in the digital advertising landscape. In an eco-system that is driven by data, real-time auctions and hyper innovation, the ability to adapt and customize is crucial. We break out of the limitations that standard product have. Our team’s DNA is built on this approach and has extensive knowledge in the digital advertising field. Each member of our specialised team works tirelessly to produce a high-end, versatile product that suits the needs of those invested in an ever-changing digital environment. What are your direct contact details Platform 161? No, not like that, you just need to fulfill the requirement shared by the DSPs. Hey manoj.. Send me your resume. We have a ad exchange platform called Adwize which will interest you. This list is much too short. Where is Atomx? Did you forget about us? -> http://www.atomx.com = cheaper and more openminded than any DSP you listed up here. Don’t forget ARTEEBEE Inc. ->http://www.arteebee.com a new evolutionary OpenRTB exchange. The sophisticated platform, adds value by intelligently connecting SSPs and DSPs providing full control over their media buys. Pocketmath should be listed! 🙂 Pocketmath is the world’s fastest self-serve mobile advertising platform for buying programmatic real-time bidding inventory, launched in 2011. Pocketmath’s programmatic buying system bids on impressions based on targeting parameters. The company’s mobile DSP offers extensive targeting options including hyperlocal, device, cherry-pick apps, wifi/carrier, and time of day scheduling and many more. It has great transparency in terms of media buying, fee, and data, in addition to its powerful platform workflow and flexible API. I think our solution can be relevant to this topic as well. Clickky has an with programmatic exchange for mobile DSPs and SSPs. This list is not complete without Epom Market DSP. This is a powerful self-serve demand-side platform that supports most available ad formats – from standard banners to native ads and video. It offers extensive targeting options and retargeting. Buy tons of targeted traffic and maximize your ROI with Epom Market DSP! + 1 to Epom Market DSP. Fast, convenient, cheap and free. Good in-app traffic, 2 times cheaper than facebook gives me, but performance is better.